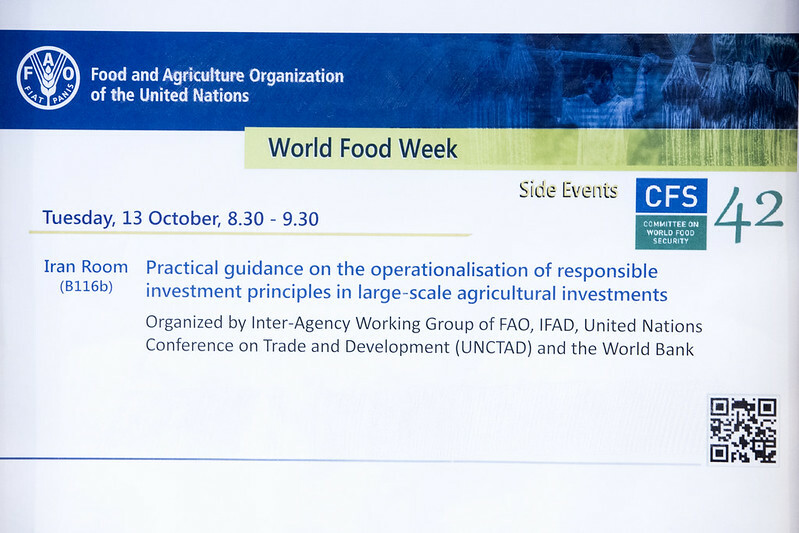 The Inter-Agency Working Group (IAWG) of FAO, IFAD, UNCTAD and the World Bank will present progress of its work programme to develop practical guidance for host country governments, investors, local communities and civil society on how to ensure the responsible conduct of agricultural investment in developing countries. Their programme includes the pilot-use of guidance instruments (including the CFS RAI principles) with new investments in selected African countries and engagement in a multi-stakeholder dialogue. The IAWG will also present findings from a recent study by UNCTAD, IISD and the World Bank on the opportunities of using contracts to ensure responsible business conduct.